The legendary French singer Charles Aznavour—who said last week that he dreamed of breathing his last on stage—has died aged 94, his spokeswoman told AFP Monday. The songwriter, who had just returned from a concert tour of Japan last month, passed away in his home in Alpilles in southeastern France. He had to cancel several shows last year after breaking his arm in a fall. But as late as Friday the diminutive singer told French television that though his Swedish-born wife wanted him to stop touring, he would happily die on stage. The singer had planned to go back on tour later this month, starting with a concert in Brussels on October 26. Born Shahnour Varinag Aznavourian in Paris on May 22, 1924, to parents who had fled the genocide of ethnic Armenians as the Ottoman empire fell, Aznavour sold more than 180 million records in a career spanning eight decades and as many languages. His family were heroes of the Resistance against the Nazi occupation of France during World War II, regularly risking death to hide Communist partisans in their tiny Paris apartment. 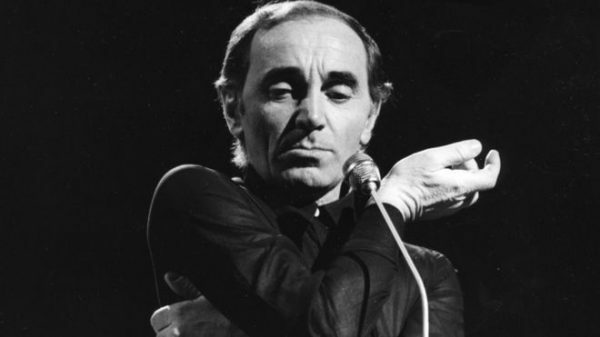 Aznavour got his big break after the war when he opened for the then rising French star Edith Piaf. She took him to America as her manager and songwriter while he worked on his voice, and urged him to get a nose job – advice he at first resisted. He had his first number one hit in 1956 with “Sur Ma Vie” (In My Life). That was followed by one of his biggest hits, “Je M’voyais Deja” (It Will Be My Day). But it was his leading role in Francois Truffaut’s film “Shoot the Piano Player” in 1960 that catapulted Aznavour to international fame. Buoyed by its success he took New York’s Carnegie Hall by storm in 1963 before touring the world and seeing his songs recorded by stars from Ray Charles to Liza Minnelli and Fred Astaire. French President Emmanuel Macron paid tribute to the “unique brilliance” of Aznavour in a tweet shortly after his death was announced on Monday. “Proudly French, viscerally attached to his Armenian roots, known all over the world, Charles Aznavour accompanied three generations through their joys and pains,” the 40-year-old French leader wrote. “His masterpieces, his tone, his unique brilliance will live far beyond him,” Macron added. Former French prime minister Manuel Valls was among the first leaders to react to his death, praising “this son of Armenian immigrants who became one of the greatest and most beautiful symbols of French brilliance. “Adieu and thank you,” Valls tweeted.